Acura, Honda's luxury division, enters the highly competitive crossover utility vehicle (CUV) marketplace with an all-new premium entry-level model that features a host of "best-in-class" attributes, combining superlative styling, luxurious appointments, and super handling all-wheel drive in a technologically advanced ride with the RDX. The turbocharged 2.3-liter four cylinder delivers instant acceleration off the line or at highway speeds, thanks to the broad torque curve. The ride quality is on the firm side, befitting the RDX's performance orientation. Handling characteristics are crisp, and indeed more sport sedanlike than light trucklike. The overall size of the RDX is well suited to zipping through traffic with ease, while offering the versatility on par with, or exceeding many competitors. The Acura/ELS audio system places the RDX in the transportation concert hall category in terms of entertainment and sound quality, so parked, or on the move, your favorite tunes take on new life. 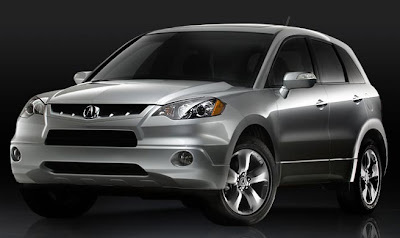 The RDX is so well appointed that there is only one optional package -- the Technology Package, which is truly "wired." • A 10-speaker Acura/ELS Surround Premium Sound System with multiformat six-disc DVD-A changer, AM/FM tuner, and XM Satellite Radio. • HandsFreeLink wireless telephone interface. • AcuraLink Satellite Communication System with Real Time Traffic. • The Acura Navigation System with Voice Recognition. • GPS-linked, solar-sensing, dual-zone, automatic climate-control system. As always, Acura may not always be the first to the fray, but when the battle is over, Acura vehicles seem to reign supreme. 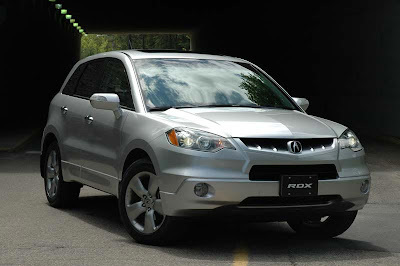 Click here to see the RDX when it was still a concept. Acura built a car to my specifications. I think i get enough turbo changing, added some bbk performance parts and other mods now i just wanna test drive and perhaps i'll buy this new car.